Born in 1995, Eternal Majesty has developed his own vision of Black Metal to celebrate your inside Darkness. 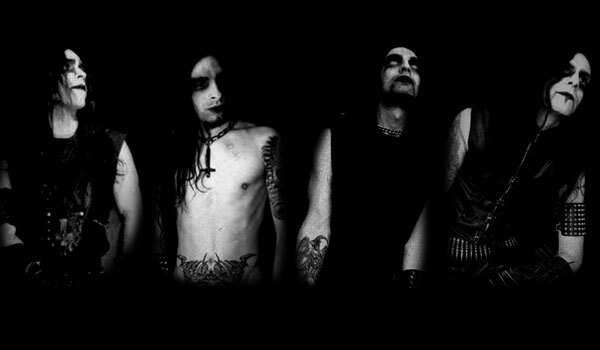 With his mid tempo, speed, a little bit melodic and depressive Black Metal, added arrangements are creating dark and cold atmospheres. Now Eternal Majesty is a vision beyond good and evil, a spectator of human misery. Discography : first demo "Dark Empire" in 1997- Split demo tape with Antaeus in 1998 – Evil Consecration live tape in 2000 – None shall escape the wrath split CD (with Judas Iscariot (US), Krieg ( US) & Macabre Omen ( Gr)) in 2000 - Split LP with Temple of Baal ( fr ) in 2001 - SPK Kommando Split EP with Antaeus, Deviant and Hell Militia in 2001- From war to darkness (first album) in 2003 – Night Shadows Mcd in 2005.